Is an Instant Pot worth buying? Are Instapots worth the money? 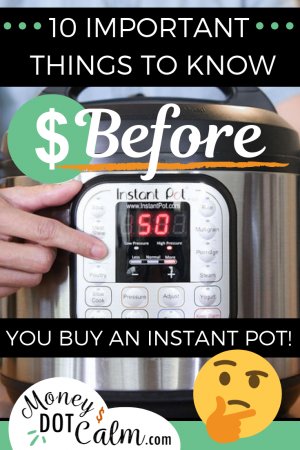 If you’re scared of Instant Pots, heard negatives about Instant Pots or want to know why NOT to buy an Instant Pot, this post is for you! I often get asked “why do you love your Instant Pot?” and although it’s undoubtedly been a game changer for our meals, there are still many pros and cons. So if you haven’t jumped on the bandwagon yet, there’s some important things you should know! While I’ve loved the idea of the Instant Pot (or “Intsapot”) for years, I wasn’t sure if it would fit into my family’s meal routine (or budget), and the idea of pressure cooking was a bit intimating. After a ridiculous amount of research I finally took the plunge and bought one. And I’m so glad I did. If you’re curious (or in a hurry): I got this 8 quart Duo Instant Pot on Amazon and highly recommend it. 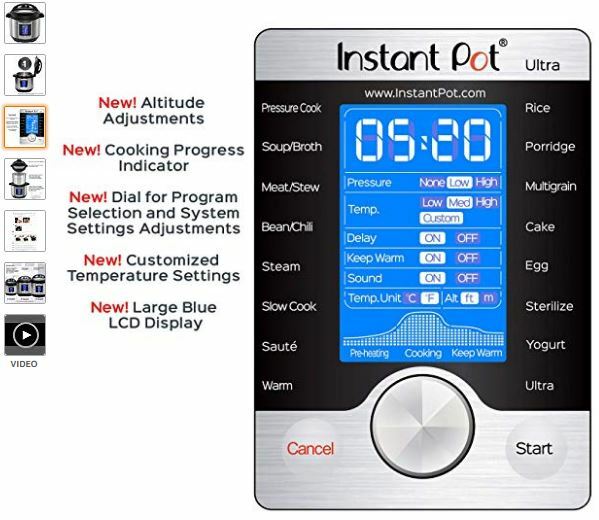 It didn’t take me long to see why the Instant Pot is so popular, but as a new user there were also a few unexpected surprises. My 8qt Instant Pot is 14 inches high (the 6qt is about 1 inch smaller) and I totally underestimated how hard it would be to see into the pot at that height. At 5’6″ I need to use a stool to get a good look inside, or to scoop out of the bottom, so if you’re any shorter that would definitely be a necessity. Check your counter height to see where the top of your Instant Pot will be and choose a spot accordingly (or get a handy fold-up stool like this one). 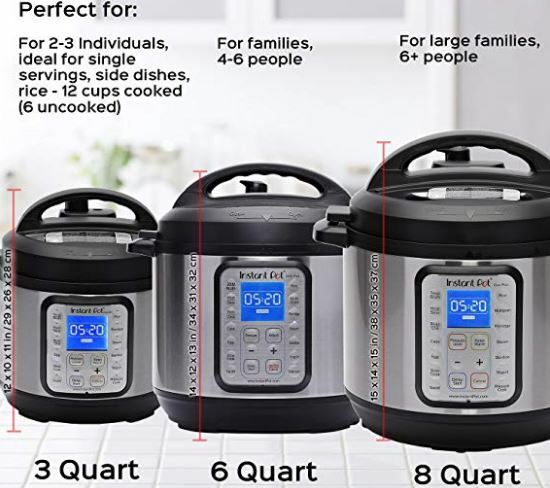 Depending of the size and model of your Instant Pot, you may need to make some changes to the recipes you find online. For example, the minimum liquid requirement for my 8 qt pot is 1.5 cups, but the 6 qt is only around 1 cup. That can make a big difference in how your recipe turn outs! The newer models are also more likely to give you the BURN error message, so you’ll need to watch the temperature carefully. I’ve run into this problem when switching from saute to pressure cooking, but apparently it’s much less common in older units. Always read the fine print in a recipe to see which Instant Pot they use (and the comments can be helpful for adjusting the quantities). I love homemade broth, but the process of oven roasting a chicken, then 12+ hours in a slow cooker was always a bit daunting . I wish I had know how much the Instant Pot could speed up the process (and cut down on cleaning!). Now I can pressure cook a whole chicken in under an hour, remove the meat, and throw the bones, vegetable scraps and water back in. The both just takes another 40 min to cook and I only have ONE pot to clean. If you like making homemade broth, I highly recommend an 8qt model. You’ll appreciate the extra space when making big batches. Even though the Instant Pot is much safer than the traditional pressure cookers our grandparents used, it’s still not without some risk. The one (and only) feature I don’t like is that when I’m doing a “natural release” the display says OFF, but it’s still holding a LOT of steam. I’ve taught my kids that OFF doesn’t mean it’s safe, and to stay clear anytime the display light is on (I keep it unplugged when not in use). If your kids like to climb on the counter to “help” cook (like mine), be aware that an accidental bump to the steam value could release the pressure all at once. If you’re used to having 2-3 pots going on the stove at one time, you’ll be shocked at how much room is saved by doing “one pot” recipes. For small kitchens this is a big bonus! Once you get the hang of cooking with the Instant Pot, it can free up your time immensely. Instead of hovering over the stove, checking and stiring, I can now tidy up the kitchen, set the table and have the dishes done before we even eat. The Instant Pot Ultra even has altitude adjustments, Alexa guided cooking and progress indicators to make it that much easier. Despite the name, cooking times aren’t always THAT much faster than other methods. Once you factor in the time to get up to pressure, and then the release, a 5 min recipe can take 25 min or more. If you’re making dinner in a hurry, don’t forget to factor in the FULL cooking times to avoid disappointment. The stainless steel pot is so quick and easy to clean you can have the dinner dishes done in half the time. It usually just needs a quick scrub and then I can throw it into the dishwasher. Depending on what you’re cooking, it will probably only need a deep cleaning once every week or two. If you have a not-so-adventurous eater they may not like the idea of one-pot cooking. My whole family loves this easy recipe for spaghetti, except for my daughter that always has (and probably always will) prefer plain noodles. On the plus side though, it’s a great way to expose the kids to new flavors, and without a back up option they’ve been more willing to experiment. Despite having a basic understanding of how a pressure cooker works, I was still shocked at the amount of steam that comes out during a quick release. It’s definitely not something you’d want directly underneath your freshly painted cabinets! Make sure you have a suitable space on the counter to let the steam escape, and ideally in an easy-to-clean spot in case of splatter. My first attempt at Mac and Cheese resulted in sauce being blasted all over the spice rack (I now do a natural release instead and it tuns out perfectly!). If you don’t have an Instant Pot yet, GET ONE! 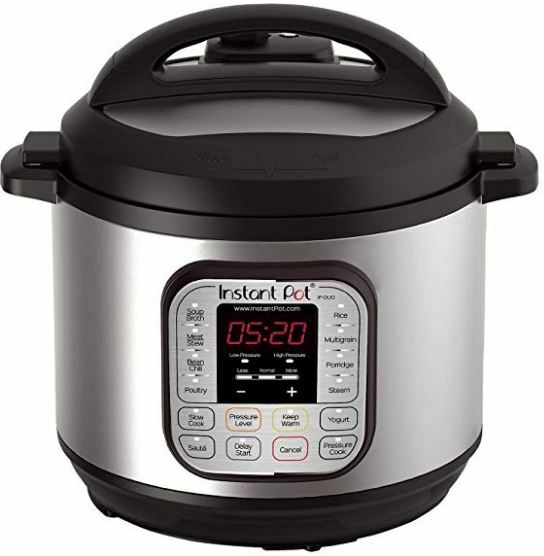 Shopping Tip: You can often find the Instant Pot Duo on Amazon for under $100. Check today’s price. Despite these few hiccups along the way it’s completely changed the way I cook and plan our family meals. I also love the yogurt feature, which is a foolproof way to make the most delicious yogurt you’ve ever tasted. Try this recipe and let me know how it goes! 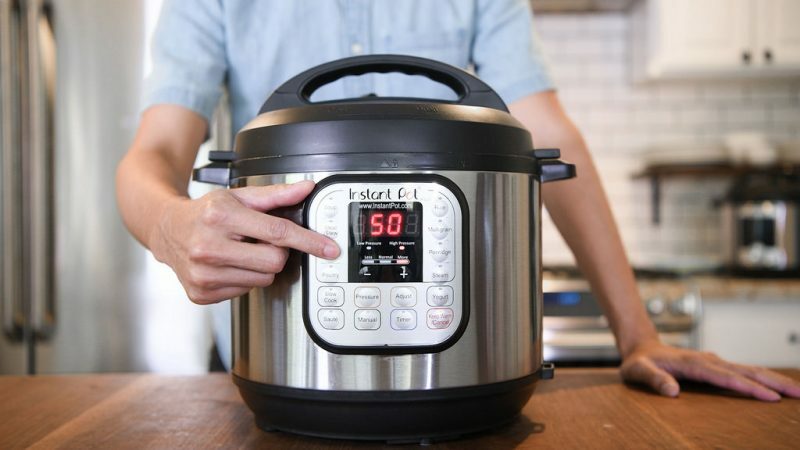 f you already own one, what do you wish you knew BEFORE getting an Instant Pot? What are the pros and cons of an Instant Pot for you?